You can add comments to time blocks and icons. 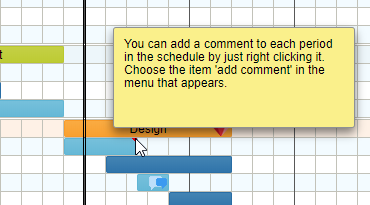 Just right click a time block and choose ‘insert new comment’ in the menu. 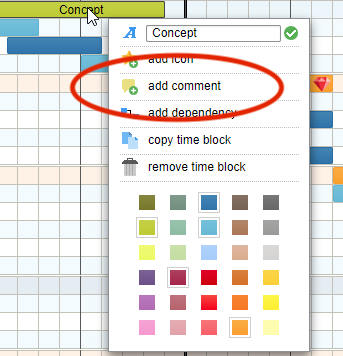 After you have inserted a new comment a small red triangle will appear in the right top corner of the time block. Hover you mouse over the time block or clicking this red triangle will open the comment. To remove a comment from a time block right click the time block and choose ‘remove comment’ from the menu that appears. You can’t print comments (yet).